He was one of my two main Instructors, so his passing away in September 2009, makes me take break in the daily routine and reflect back about our relationship and the future. 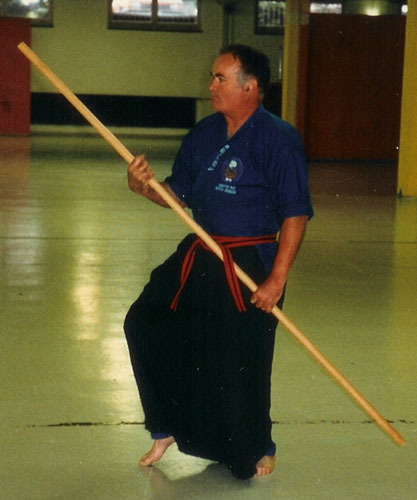 Kushido will never be as it was, while Hanshi Denis was still with us. 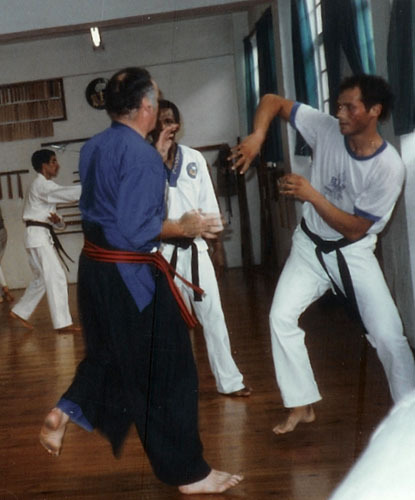 Of course we were sad to hear about his passing away, yet it was probably a blessing for him to be able to go, seeing that he was suffering and in pain for a long time and could not actually do what he loved to do – teach and train. 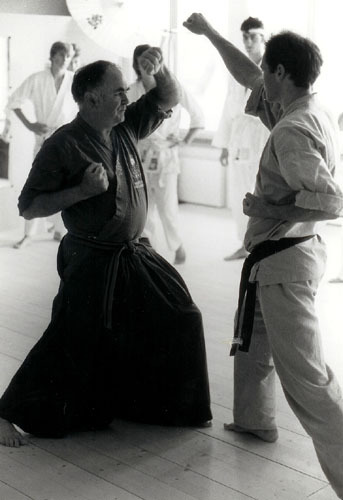 I had the pleasure of getting to know him when he was in his prime in a roaring Central Dojo with senior classes which could be frightening but at the same time inspiring and bring out the best in every one. At that time he was wearing his famous red Gi which suited him very well, as he was full of fire. As an Uchi-Dechi, I was very close to him. Sometimes he treated me as a son which he didn’t have. He was always very understanding and kind towards me but at the same time he treated me with a firm hand which no doubt I needed. He shaped me to a great extend to what I have become today. I still remember his tough 1mm long hair on his knuckles which always pocked my chin when he demonstrated some techniques to others. That shows you how close and real it was. I had the luck of training with him and being used for demonstrations as only a handful of others at the time. All that were around in those days remember and treasure them. However the cycle of life carries on, as it always will. Good teachers come and also go again. That brings up the question when is somebody actually a good teacher. That is in fact not too difficult to answer. A teacher is always judged by his students. When I look around, there is a huge amount of good students still active everywhere in the world which Hanshi Denis trained. 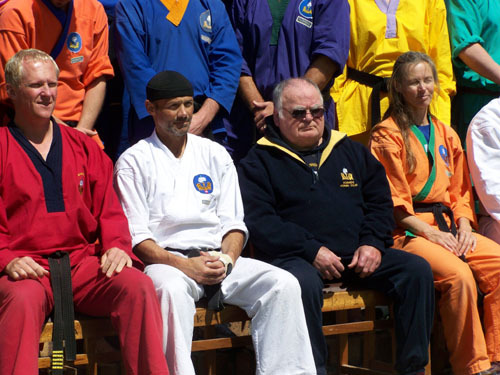 Lots of them, like myself, have schools with lots of students of their own, which makes Hanshi Denis a grand teacher. His work which he put into all of us is definitely still alive and his knowledge carries on and won’t be forgotten as many of us, me included, have learned a great deal from him and are passing it on to the next generation. 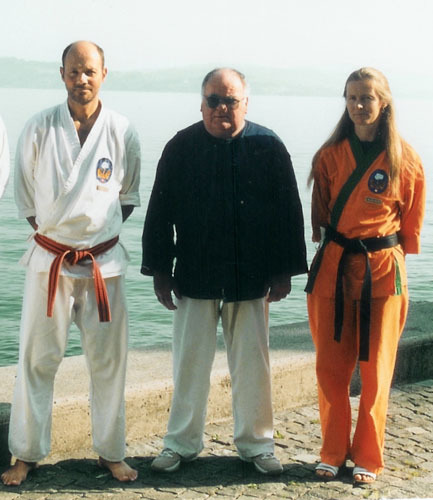 In that respect Hanshi Denis has done a great job and it can truly be said that he was a good teacher. Now it lies on us to carry on, so hopefully the next generation says the same about us. With this in mind I wish everybody lots of pleasure and diligence in searching and following your path.